So a week ago I got 2 blue bolts and 2 red wine shrimp from a local breeder. This time, their water was not much different than mine, so I only did 3 hrs acclimation. All of the shrimp have been doing well for a week now, except one guy who became inert a day ago (the 6th day). While the other shrimp are eating, this guy just stands there frozen. Then I noticed that it's main antennae are a little bit crooked (not badly mangled, but a few bends here and there) and also one of them is shorter than the other. I can't be sure, but I think they were straight a few days ago. I got worried that it was bacterial infection, since that can affect the appendages, but it's not pink at all. Also, this shrimp is more like 95% inactive. It went on a 10 minute grazing tour an hour ago, but is now frozen up again. Then I noticed that it's main antennae are a little bit crooked (not badly mangled, but a few bends here and ﻿there) and also one of them is shorter than the other. I can't be sure, but I think they were straight a few days ago. This kind of injury can happen during a moult. Did you notice it moult? And if it moulted recently, it would be tired and in a recovery state for a couple of days. Feed it a frozen bloodworm and keep an eye on it for the next few days. Keep lowering GH and TDS for the next water change. They might be used to very soft water. I first noticed the crooked antennae and lethargy last Friday, but didn't see any molt shells. Then I saw 2-3 molt shells on Saturday. (Maybe I missed this guy's molt) Anyway, since posting this, the activity on this guy has been slowly increasing. I gave it some Shrimp King Protein. It tends to alternate between grazing and freezing. My other Taiwan bee shrimp are mostly active and didn't miss a beat during their molting. Good to hear that the shrimp is still alive, long may it continue! I have never seen an actual molt so assume they do it somewhere out of site or at night usually? It might be a good idea to separate it and avoid it breeding, just in case it is a genetic problem. I agree with you both and you have changed my mind. I will go for mix of cardinia shrimp. Definately will be lot more interesting in terms of colours and patterns. I do already have most of the stuff. The only thing that I do not is the Chiller and even though I do have the KegKing Co2 setup, I will stay away from it because its a cardinia setup. Will research a bit further into the chiller this, as I do not want to buy one for a small tank and realise that I need to invest on a bigger one down the line. Thank you guys for the input. Really appreciate the insight. P.S: Great pics Simon. That has certainly swayed me towards a mixed setup. I started out with a 30cm tank, and it's my only shrimp tank, started of about November with Neo's and added a few Taiwan bee's, king kong, wine reds, pinto's and blue Bolts around feburary, my Neo's have multiplied, but given many away, and finally giving most away, leaving only cardinia, my water seems ok, since many of my cardinia are still here, and my Taiwan bee have berries, shrimplets should come any time. I think you should be prepared to spend money, for me I have a HOF, CO2, water cooler and the right light, i'm intend to change the current substrate from ADA to the PB, but have to wait for the Taiwan bee to have shrimplets. Thank you very much Simon. I have certainly thought about the idea of secondary tanks. But i wanted to test out the Cardinia waters first. 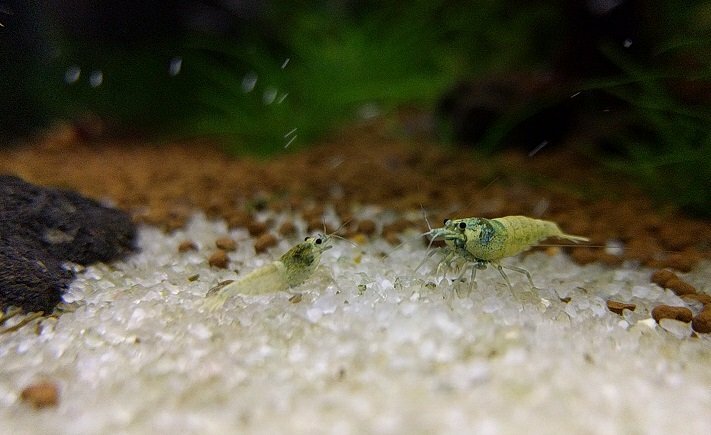 If they do capture my interest, I plan to seek my boss (aka wife) to approve the shrimp tank rack idea *fingers crossed* I have been going through this forum and the Shrimpspot forum to gain as much knowledge as I can to get a good start. Thank you again for your message. Every little bit helps.